We all know that exercising and getting enough sleep can keep you energized throughout the day, but sometimes you just need a fast energy boost. 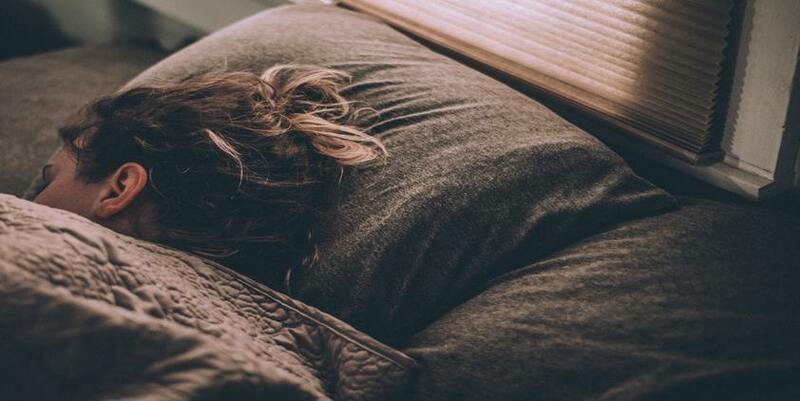 If you’re about to complain about how exhausted you are (again), try one of these science-backed energizing tactics to get you going. You might think multitasking will help you tackle your to-do list faster, but doing nothing for a few minutes can help your lack of energy and ultimately push you to get more done, said Jon Gordon, a Florida-based consultant who advises corporations and athletes on how to stay energized, in an article on WebMD.com. Mental concentration is similar to a muscle, John P. Trougakos, an assistant management professor at the University of Toronto Scarborough and the Rotman School of Management, told the NYTimes.com. The brain becomes fatigued after sustained use and needs a rest period before it can recover, he explains. So take a quick pause to daydream, chat up a friend or coworker, or make a cup of tea that matches your mood. Step away from the vending machine and take a stroll around the block instead. In a classic study published in the Journal of Personality and Social Psychology, researchers had people either eat a candy bar or walk briskly for 10 minutes on 12 different days. Walking turned out to be the better long-term energy booster; the snackers’ energy levels plummeted within an hour of eating the bar. In a later study, the same researchers discovered that the more steps people take each day, the higher they evaluate their overall mood and energy. California State University scientists had similar findings: A brisk 10-minute walk increases your energylevel and sustains it for two hours. For an even bigger boost, walk outside. Recent studies show that spending 20 minutes a day outdoors can significantly increase vitality, along with other health benefits. Fatigue is one of the first signs your body is running low on fluid. According to research at Tufts University, even mild dehydration reduces concentration and brings down your mood. It also drains energy, so be on the lookout for signs you’re dehydrated. Doctors typically recommend eight or nine cups of water a day. Extra points for drinking lemon water. Look for a healthy bite that combines protein with complex carbohydrates, such as a hard-boiled egg with whole wheat toast, cheese on multi-grain crackers, or an apple with peanut butter. Your body digests that pairing more slowly, which will keep your blood sugar on an even keel, according to Christine Gerbstadt, MD, RD, in an article on WebMD.com. Try these healthy snack ideas that also curb cravings. Also try eating these high-energy foods to beat the afternoon slump. Low energy is just one of the signs you’re not eating enough fiber. That’s because the body digests fiber more slowly, which can provide a longer-lasting energy supply during the day. The good news is there are plenty of ways to sneak more fiber in your diet without even trying. Learn about eating habits that may be screwing with your sleep. They contain a lot of magnesium, and research shows that too little of the mineral can sap your energy. (Be on the lookout for other signs of a magnesium deficiency.) Almonds, cashews, halibut, spinach, and soybeans are other good sources of magnesium. Making this important mineral a regular in your meals can also transform your fitness routine. Want help getting a better handle on stress while feeling more energized overall? One recent study found that people who took mindfulness-based meditation training for eight weeks were able to concentrate longer than a control group who wasn’t taught the meditative techniques; they also didn’t feel as overwhelmed during exercises meant to induce stress. If you’re new to meditation, start simple with these morning mindfulness exercises. Caffeine stimulates the central nervous system for that quick pick-me-up we want (or need) in the morning. But that burst of energy can actually trigger anxiety attacks, leaving you with unhealthy stress that drains energy. More than 200 or 300 mg (two to three cups) a day can work against you in other ways by causing jitteriness, digestive problems, and headaches—all signs you’re drinking too much coffee. Consuming caffeine too late in the day can prevent a good night’s sleep. You know the right tunes can invigorate your workout, but certain music can also boost your focus during everyday tasks. Research has shown that background music without lyrics (like video game soundtracks) may help workers focus, boosting happiness and productivity. Browse for stations that play instrumental pop, rock, romance, or country to see which ones your brain likes best. For more tips, check out these life-changing natural energy boosters.